Laptop screen cracked? We can replace your laptop screen or netbook screen. Acer, Sony, Apple, Toshiba, HP, Compaq, Packard Bell, Asus, Dell, Advent. Macbook and Macbook Pro and many more. . . . . Laptop, Tablet and PC computer repairs . If you are looking for expert help with your desktop or laptop - without breaking the bank - then search no further. Whatever the problem, well get your computer working again and running at optimal speed and perfor fast!. Routine maintenance such as software installs, data transfer, memory upgrades, password removal. Remote Support also offerred so that we can resolve your issues without the need for a site visit. Expert iPad, IPhone, Smartphone Technical Services. 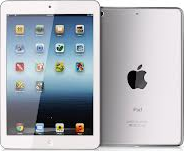 The perfect choice for expert iPad and IPhone technical services and fast repairs. We're available to help you and fix or resolve your Apple iPad & IPhone problems. Other types of SmartPhone also repaired. Call or email for details.